It seems that these days, piano stores are competing not with other local piano stores, but instead on where people are spending their discretionary income. Most kids are more interested in playing the latest Xbox game, playing sports or surfing Facebook than they are in taking piano lessons. For those that still choose to study music, you may also lose out on the more expensive acoustic piano sale while they choose digital keyboards or a cheaper used piano. So, what’s a piano store owner to do? 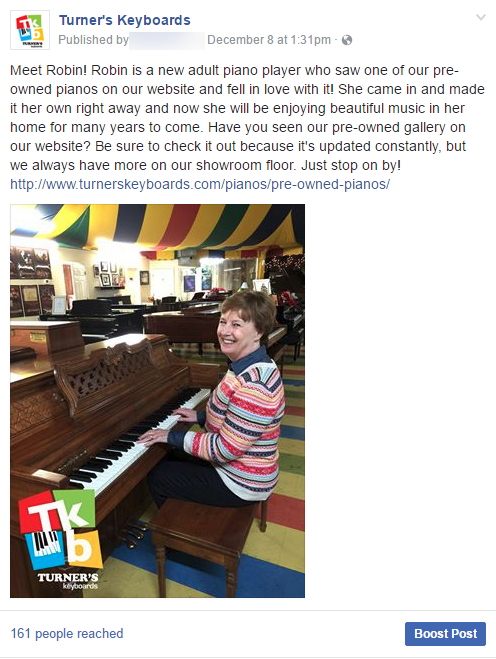 What can you as a piano store owner do to market your business more efficiently? How can you ensure that you are getting in front of people who want to hear what you have to say and want to see what you are offering? Inbound marketing is the new buzzword you need to get to know. It’s working for thousands of other businesses and it can work for yours too. So get comfy and let’s check out some killer inbound marketing ideas for your piano store. 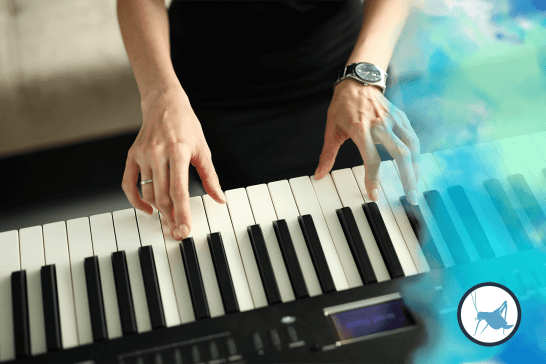 What is Inbound Marketing and How Can It Help My Piano Business? Inbound marketing refers to marketing activities that bring visitors in, rather than having to go out to get prospects’ attention. It earns the attention of customers, makes your business easier to be found, and draws customers to your website by producing compelling content through social media, blogs, podcasts, video, eBooks, live streaming, whitepapers, SEO, and other content. While you are probably more familiar with outbound marketing such as cold calls, cold emails, direct mail and newspaper ads, inbound marketing is less expensive and more efficient when it comes to marketing. You are no longer sending your marketing message out to a sea of thousands and hoping someone is your target audience. With inbound marketing, your target audience is usually already looking for what you offer. The most common way we use inbound marketing is content delivery and sales funnel management at different stages through social media. Social media can be used to target anyone you want to reach and let’s face it…it’s where people are today. Most piano stores are operating on a pretty thin budget, especially during trying economic times in which many families are delaying the purchase of a piano, if not forgetting about it altogether. Fortunately, using social media to implement a marketing strategy for piano stores can be quite affordable even when using a social media agency to do it for you. All of the marketing tips I’m going to share with you can be done with the right knowledge, time and budget. The important thing to remember is that consistency is key. Without it, you gain attention for just a moment and then lose them if you don’t follow up with more useful content for your audience to interact with. It will also require at least a minimal budget to boost posts on Facebook and advertise through social media to get your marketing materials onto the screen of your audience. Of all the pianos you have on the showroom floor, tell your followers which ones you love the most and why. Do you prefer a grand piano to an upright? Steinway over Kawai? What about digital keyboards? Which digital keyboards give the best quality sound and which one might be a good choice for a child just getting started. Recommendations make it easier for your customers to make their purchase decision. Sharing your favorites personalizes the experience for them and it also helps you to build trust and authority as the go-to person to ask about their next piano purchase. Remember, don’t just list the piano name with a price. Give them the information they crave. It’s all in the details! Use your social accounts to offer your followers a peek into your store. This could include any new stock that’s arrived, or even changes you’ve made to your store. How great would it be to even share photos of your customers on the day they purchase a beautiful new piano for their home? What may be perceived as ‘new’ to your business depends on the focus of your business. Do you have a new line you’re offering? Feature it! Hire a new teacher for lessons? Share a short bio about him or her and share a video clip from one of their piano lessons with a student. If you’re holding special non-sale events at your store (perhaps a mini recital or demonstration), promote them heavily on social media. Share details of the event, the activities involved, and even the door prizes you plan to give away. To get even more foot traffic, consider holding a contest ahead of the event and offer winners special VIP access or winner only access or gift certificates. Events can also be shared on social media, so letting your customers know about the events and contests with prizes will encourage them to share the event with their friends on social media as well. Music is to be experienced, so it’s worth developing your own YouTube channel to keep a library of all of your business related videos. Video is an ideal way to showcase not only your inventory and your space, but also to feature lessons, recitals, parties, sponsorship events and more! Of course when we talk about video marketing, we can’t leave out live streaming. While live streaming may seem a little intimidating, don’t shy away from this awesome marketing tool. Facebook offers live video right from your fan page, and both Instagram and Snapchat have integrated video features as well. If you aren’t holding a live stream occasionally, you are missing out on a prime opportunity to connect with your audience in a really unique way. It is entirely too easy to ignore most types of outbound marketing and advertising. Newspaper readership is declining drastically, and the remaining readers are conditioned to flip right past any advertisements. The remote control and buttons on the car radio, of course, were invented for skipping over commercials in those mediums. Email marketing contains advantages no other type of marketing can match. Email marketing messages are not only sent directly to an inbox, but the email marketing software is easy to customize, which means senders can tailor it so that the name of each recipient is in the salutary greeting giving it a friendly “I know you” sort of vibe. Better yet, these email marketing messages almost always includes social media integration. Think of it as the modern version of word of mouth—which can be forwarded but also provides the opportunity to share it via social media. The number of people using social media to find out news and information increases by the second. Why not tap into this potential audience by allowing the message to be shared on Twitter, Facebook, and other outlets? Benefits to Using Social Media Marketing For Your Piano Business? Nearly every industry can benefit from email and social media marketing, but piano stores are uniquely positioned to see dramatic increases from a targeted social media campaign. You’ll reach a wider audience, engage multiple senses, and put a fresh, new face on a traditional business model. Take advantage of the tools available and share your business where the people are! Interested to find out what Blue Cricket Media can do for your piano store? Get in touch with us and let us show you! Don’t forget to subscribe to our newsletter below to get free social media marketing tips right to your inbox!